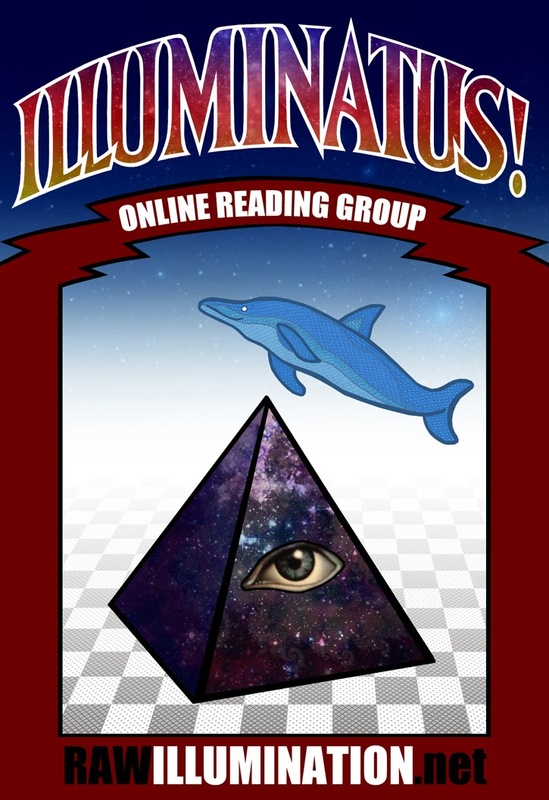 Next week's episode of the Illuminatus! online reading group (e.g, Monday) will be on the prologue for The Golden Apple, a bit of text that's not in the Dell omnibus which I assume most people are reading but which was included when the work originally was issued as a series of three paperback originals back in the 1970s. The prologue is a little shorter than the 10 page bits we've been doing, and I see this stage as an opportunity for anyone who wishes to get caught up with the group, or to start anew with The Golden Apple. Ten pages a week is not exactly a forced march, so it's not too late to take advantage of the next two weeks to get caught up. A couple of other points: Adam Gorightly has been posting on the reading group episodes at Historia Discordia, and I've been noting his posts on this blog and collecting them on the online discussion group page. If you feel moved to put up something on your own blog or website, please make sure I don't miss it — I want to point to it, too. Also, I remain open to guest posts on this blog. Just contact me and let me know you want to lead the discussion for an episode. My sincere thanks to everyone who took a moment to post a comment on one of the blog postings for The Eye in the Pyramid. I'm looking forward to hearing from you during The Golden Apple.